We call Austin, Texas home and have two locations—one north and one south. Click on a location below for more info. We offer pre-orders for pickup or delivery! 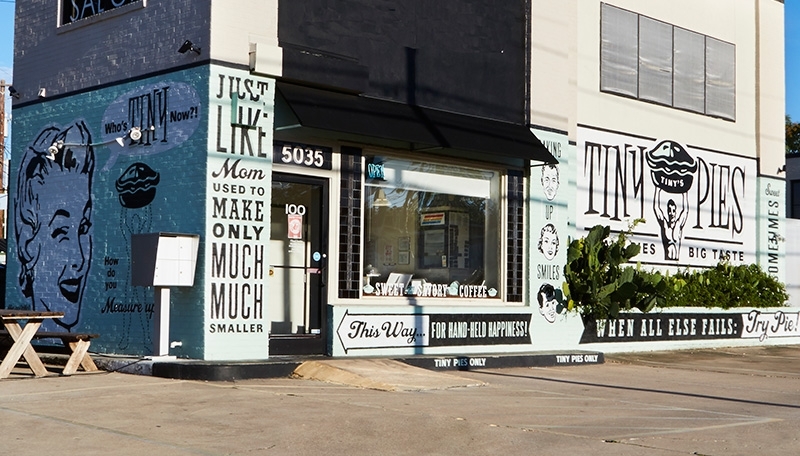 Our original location, the Burnet shop is located in North-Central Austin and features our famous Measure Up Strong Man Wall on the outside of the building—perfect for taking fun pictures. Outside picnic table for seating. On site parking available. 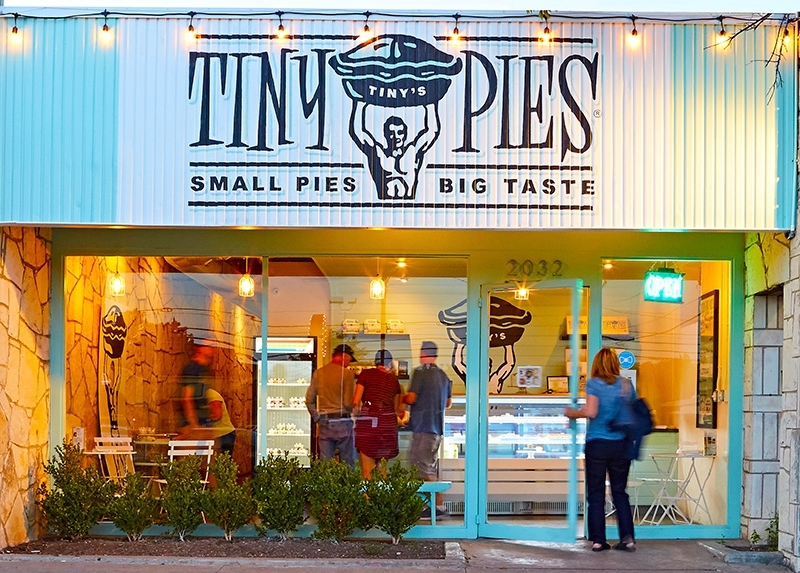 Our South Austin pie shop is located just south of Lady Bird Lake, tucked in next to El Meson. Grab a seat at a bistro table and enjoy pie and coffee with a friend. Limited parking available on site. After a visit to the flagship store, stop by for limited, yet exclusive offerings from yours truly.